NEW DELHI (Morning Star News) – Christians on their way to a recent Christian camp in eastern India shared the purpose of their trip with fellow bus passengers, not realizing one of them was a Hindu extremist. When they arrived at the bus station in Bettiah, Bihar state, on Feb. 26, after the 60-kilometer (38-mile) trip from Bagaha, 60 to 70 angry Hindu extremists were waiting for them. The hard-line Hindu had made phone calls to Hindu nationalist groups. The mob separated out the native missionary for the Gospel Echoing Missionary Society (GEMS), D. Joseph, as well as another Christian, Baldev Singh, and assaulted them, said the Rev. Mariosh Joseph, coordinator of GEMS in Bihar. He said D. Joseph sustained several internal injuries and was hospitalized in a state of deep shock, and that Singh also was hospitalized with multiple injuries, including internal damage to his ear that caused some loss of hearing. The Hindu mob interrogated the Christians, asking them the purpose of their visit, said the GEMS zonal superintendent, identified only as Pastor Palanivelu. “They told the Christians that they were visiting to lure the innocent and poor villagers with money and benefits and fool them into becoming Christians,” Pastor Palanivelu said. Native missionary D. Joseph told the mob about the camp and denied their allegations, and the Hindu nationalists began to use foul language as they threatened the Christians, Pastor Palanivelu said. “Even being in a public place, no one came to their rescue, and passersby were mere spectators as the mob beat both the Christians mercilessly, while the other Christian teammates cried for help,” he told Morning Star News. Traffic officers heard the commotion and tried to rescue the Christians, but they were overpowered by the mob, he said. Additional police were called to get the situation under control. “Some of the women got so frightened that they fled the site and returned home from the bus station itself without attending the camp,” he said, adding that at least 11 women from the bus went on to the camp. Pastor Mariosh Joseph said the mob was trained in the ways of Hindu nationalist violence. “The right-wing groups are specially instructed to hit in a way that they do not bleed anyone externally, but cause gruesome injuries internally,” he told Morning Star News. Pastor Mariosh Joseph said police initially told him that they were investigating a complaint of forcible/fraudulent conversion, and that the superintendent of police later told him they were treating it as a case of human trafficking. “The police in most of the cases are biased and try to see how they can frame the victims, rather than doing the other way around,” he said. Police recorded the statements of D. Joseph and Singh but refused to file a First Information Report, though a Medico-Legal Case was filed against unknown persons, he said. The camp took place as planned on Feb. 26-28, Pastor Mariosh Joseph said. “Though such an incident of violence against the Christian believers happened, the meeting continued, and the people were blessed and inspired by the Word of God,” he said. 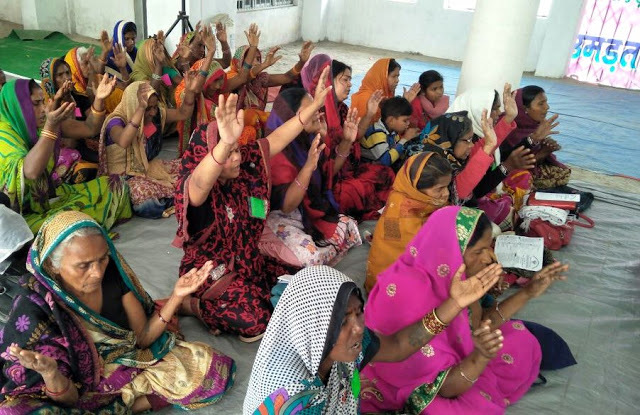 GEMS reported 12 incidents of persecution against its native missionaries last year, and since January three such cases have already been reported. GEMS works in five states in India, primarily Bihar. Morning Star News is a 501(c)(3) non-profit corporation that relies solely on contributions to offer original news reports of persecuted Christians. By providing reliable news on the suffering church, Morning Star News’ mission is to empower those in the free world to help and to encourage persecuted Christians that they are not forgotten or alone. For free subscription, contacteditor@morningstarnews.org; to make tax-deductible donations, visit https://morningstarnews.org/donate/? or send check to Morning Star News, 34281 Doheny Park Rd., # 7022, Capistrano Beach, CA 92624, USA. 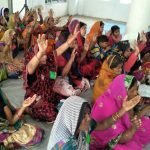 These are repercussions of evangelic missionary activities done by funding from western organizations. I am a Hindu, while I do not support violence in any form, I strongly dislike these missionaries. My question to these missionaries is “Who gave you the right to say that your’s is the only true religion?” Please stop these evangelic missionary activities in India or the result will be that secular Hindus like me will have no option but to turn to extremism to safe guard our religion and culture. Hope you understand that this is a very urgent and serious issue.